Oil has fallen lower this week, with a particularly bearish EIA report combining with geopolitical tensions in the Middle East to push prices downwards. Another increase in the rig count is unlikely to improve sentiment. 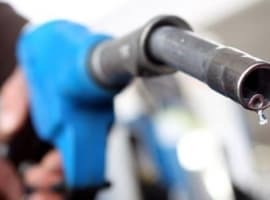 Oil prices got crushed mid-week after the EIA reported a surprising increase in both crude oil and gasoline inventories, a terrible sign that points to ongoing problems with oversupply. WTI and Brent dropped by 5 percent, with WTI sinking back into the mid-$40s. The selloff slowed at the end of the week, but oil traders seem to be looking for some direction. Lower prices could put a dent in U.S. shale. 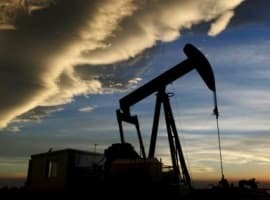 "If the market's telling you anything, it's saying, 'E&P guys, slow down,'" said David Pursell, an analyst at investment bank Tudor, Pickering, Holt & Co. "Investors are more worried about whether the market can absorb this slug of growth from U.S. shale." The investment bank says that shale is probably on its way to strong growth this year, but if prices stay between $40 and $45 then it could derail the production growth in 2018. "That $10 makes a big difference," Pursell said. Shell lifts force majeure in Nigeria. Royal Dutch Shell lifted its force majeure on its Forcados oil stream in Nigeria, a source of exports that have been offline for more than a year. The resumption of Forcados exports could see 200,000 to 250,000 bpd of additional supplies coming from Nigeria, a headache for OPEC as it tries to balance the market. Higher output from Nigeria this year will come on top of expected gains from the U.S., Canada and Brazil, among others. U.S. considers Venezuela sanctions. The U.S. government is mulling a series of sanctions that would target Venezuela’s oil sector over the government’s crackdown on protestors, a move that could be highly damaging to a country on the brink of collapse. It is not certain that the Trump administration will move forward, knowing that it would exacerbate the humanitarian crisis in the country. BP steps up gas investments. A series of recent moves by BP (NYSE: BP) highlight the oil major’s shift towards natural gas. BP announced some natural gas investments in Trinidad & Tobago as well as a deal with Rosneft to explore, produce and sell gas in Europe. BP executives say their shift towards gas is intentional, eyeing a future in which they are forced to pay some sort of price on carbon. Gas and renewables, the oil major believes, will see their market share grow over time. 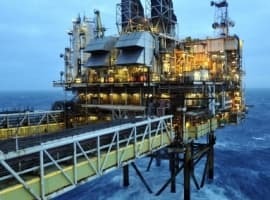 Moody’s upgrades BP. Moody’s upgraded BP’s (NYSE: BP) credit rating for the first time in 19 years this week, pointing to a strong performance recently and “clarity around the size and timing of remaining cash payments linked to the Deep Water Horizon incident.” Moody’s hiked BP’s rating up one notch to A1. UK election leads to uncertainty. The British pound plunged immediately after the June 8 election in the UK, which resulted in a loss of the majority for the Conservative Prime Minister Theresa May. The weakened PM will still try to form a government, but has faced calls to step down. The uncertainty didn’t register in the oil market, however, and will likely only have a temporary effect on the pound. Related: Is Russia Running Out Of Patience With OPEC? Kurdistan announces independence bid. Kurdistan says that it will hold a referendum on its independence on September 25. The semi-autonomous region of northern Iraq has been angling for independence for quite some time, but deteriorating relations with the Iraqi government in Baghdad has led the Kurdish government to gamble on a vote. But it is not clear if a “yes” vote will lead to formal independence. Needless to say, there are huge implications for the country’s oil sector. Kurdistan produces several hundred thousand barrels per day, hosting a range of international companies. There are also oil fields in disputed territory in and around Kirkuk, which Kurdish forces have occupied since ISIS started seizing land in 2014. California signs climate deal with China. In the wake of President Trump’s withdrawal from the Paris Climate accord, several U.S. states are accelerating their efforts at reducing greenhouse gas emissions. California is the most important, and California’s Governor Jerry Brown just signed a deal with China to cooperate on clean tech, emissions trading and other “climate-positive” initiatives, according to Reuters. Some of the details are preliminary, but under discussion is a possible scheme to link emissions trading programs between China and California.